The Good Nutrition Mission Food Pantry, sponsored by the Student Dietetic Association, provides non-perishable food items for Louisiana Tech students who are food insecure. The pantry is staffed by mostly undergraduate nutrition and dietetic majors, but welcomes all students who want to donate their time. Students who receive supplies from the pantry must show a current Louisiana Tech University campus ID and provide a valid telephone number and email address. 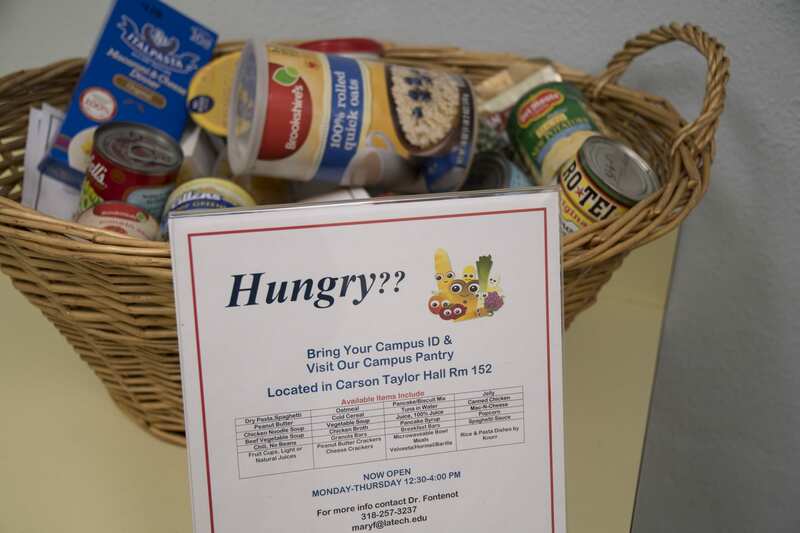 Hours of operation for the food pantry, located in Room 152 at Carson-Taylor Hall, vary from quarter to quarter and are dependent upon volunteer availability.